Who should not take Bupropion Hcl? Read the Patient Information Leaflet and Medication Guide available from your pharmacist before you start using bupropion and each time you get a refill. Consult your doctor or pharmacist if you have any questions. Take this medication by mouth, with or without food, usually three times daily. If stomach upset occurs, you may take this drug with food. It is important to take your doses at least 6 hours apart or as directed by your doctor to decrease your risk of having a seizure. Do not take more or less medication or take it more frequently than prescribed. 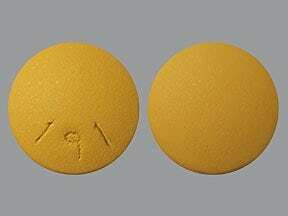 Taking more than the recommended dose of bupropion may increase your risk of having a seizure. Do not take more than 150 milligrams as a single dose, and do not take more than 450 milligrams per day. Your dosage is based on your medical condition and response to therapy. Your dose may be slowly increased to limit side effects such as sleeplessness, and to decrease the risk of seizures. To avoid trouble sleeping, do not take this medication too close to bedtime. Let your doctor know if sleeplessness becomes a problem. What conditions does Bupropion Hcl treat? Nausea, vomiting, dry mouth, headache, constipation, increased sweating, joint aches, sore throat, blurred vision, strange taste in the mouth, diarrhea, or dizziness may occur. If any of these effects persist or worsen, notify your doctor or pharmacist promptly. Tell your doctor right away if any of these unlikely but serious side effects occur: chest pain, fainting, fast/pounding/irregular heartbeat, hearing problems, ringing in the ears, severe headache, mental/mood changes (e.g., agitation, anxiety, confusion, hallucinations, memory loss), uncontrolled movements (tremor), unusual weight loss or gain. List Bupropion Hcl side effects by likelihood and severity. Before using this medication, tell your doctor or pharmacist your medical history, especially of: seizures or conditions that increase your risk of seizures (including brain/head injury, brain tumors, arteriovenous malformation, eating disorders such as bulimia/anorexia nervosa), alcohol/drug dependence (including benzodiazepines, narcotic pain medicines, cocaine and stimulants), diabetes, heart disease (e.g., congestive heart failure, high blood pressure, recent heart attack), kidney problems, liver problems (e.g., cirrhosis), personal or family history of psychiatric disorder (e.g., bipolar/manic-depressive disorder), personal or family history of suicide thoughts/attempts, personal or family history of glaucoma (angle-closure type). Though uncommon, depression can lead to thoughts or attempts of suicide. Tell your doctor right away if you have any suicidal thoughts, worsening depression, or any other mental/mood changes (including new or worsening anxiety, agitation, panic attacks, trouble sleeping, irritability, hostile/angry feelings, impulsive actions, severe restlessness, rapid speech, unusual behavior changes). Keep all medical appointments so your doctor can monitor your progress closely and adjust or change your medication if needed. This drug may make you dizzy or affect your coordination. Alcohol or marijuana can make you more dizzy or affect your coordination. Do not drive, use machinery, or do anything that needs alertness until you can do it safely. Avoid alcoholic beverages. Alcohol can also increase your risk of seizures. Talk to your doctor if you are using marijuana. What should I know regarding pregnancy, nursing and administering Bupropion Hcl to children or the elderly? Does Bupropion Hcl interact with other medications? If someone has overdosed and has serious symptoms such as passing out or trouble breathing, call 911. Otherwise, call a poison control center right away. US residents can call their local poison control center at 1-800-222-1222. Canada residents can call a provincial poison control center. Symptoms of overdose may include: seizures, hallucinations, fast or slow heart rate, loss of consciousness. Psychiatric/medical checkups or tests such as blood pressure monitoring may be performed periodically to monitor your progress or check for side effects. Consult your doctor for more details. Store at room temperature away from light and moisture. Bupropion tablets may have a strange odor. This is normal and the medication is still okay to use. Do not store in the bathroom. Keep all medications away from children and pets. 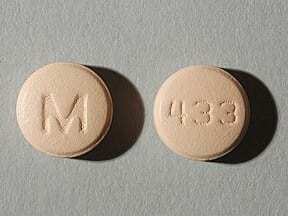 This medicine is a peach, round, film-coated, tablet imprinted with "M" and "433". 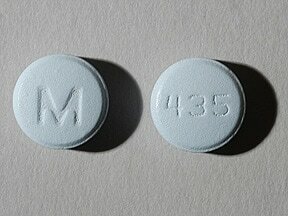 This medicine is a light blue, round, film-coated, tablet imprinted with "M" and "435". 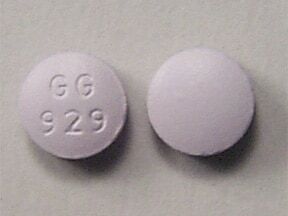 This medicine is a lavender, round, film-coated, tablet imprinted with "GG 929". 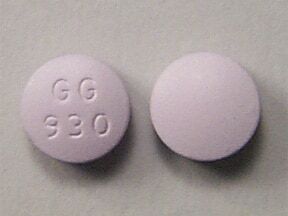 This medicine is a lavender, round, film-coated, tablet imprinted with "GG 930". This medicine is a yellow, round, tablet imprinted with "191". 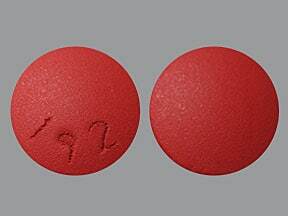 This medicine is a red, round, tablet imprinted with "192". 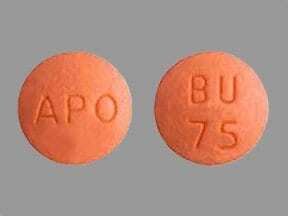 This medicine is a orange, round, film-coated, tablet imprinted with "APO" and "BU 75". 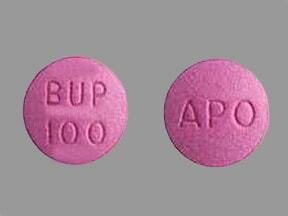 This medicine is a purple, round, film-coated, tablet imprinted with "APO" and "BUP 100". 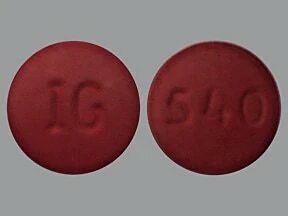 This medicine is a red, round, tablet imprinted with "IG" and "540". 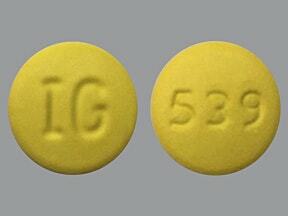 This medicine is a yellow, round, tablet imprinted with "IG" and "539". Are you taking Bupropion Hcl? Are you considering switching to Bupropion Hcl? How long have you been taking Bupropion Hcl?